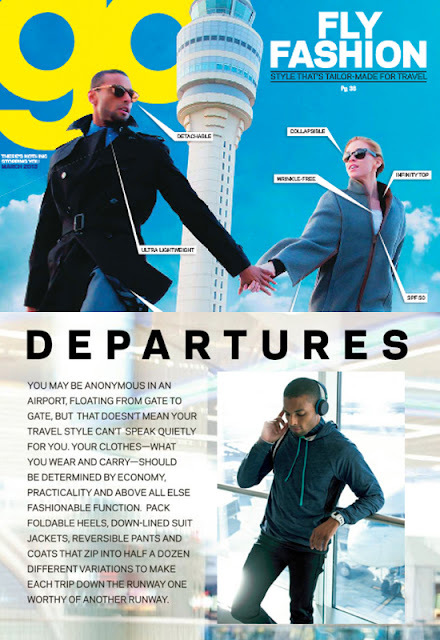 Loomstate is one of Go Magazine's top choices for must-travel items. Literally, items that are so versatile and so comfortable that it would be silly not to take them on your next journey. The navy hoodie featured here is from our SRF + CTY Spring 2013 collection - it is reversible, soft and sustainable, and you will no doubt want to wear this in the taxi, on the plane, and then on the beach! If you spill your daiquiri on this hoodie or juice drops from your fresh fish tacos, no worries, just take it off, turn it inside out and you won't miss a beat. SRF + CTY will be available online and in stores March 15th. Sign up here to receive 20% off your online purchase. See the full issue of Go Magazine for the ultimate travel style tips.